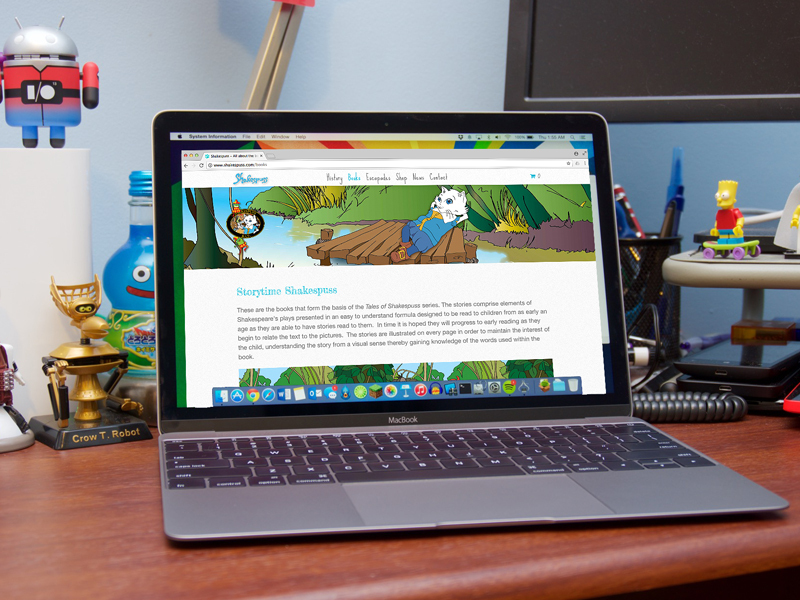 Design and management of the website for the childrens character 'Shakespuss'! Shakespuss... William Shakespeare's adorable little white cat. An inspiring idea by the artist Melissa Mailer-Yates. A series of bedtime stories called 'The Tales of Shakespuss' written and illustrated to help introduce children at their youngest age possible to the works of the 'greatest writer in the English language', William Shakespeare. This is phase one of the website and needed to be an information and introduction to the character for parents to grasp the concept behind 'Shakespuss' yet, still having the feel of the childrens books. Phase two, which will be of more interest towards the characters audience, will include a whole lot more and will hopefully not be too far behind!